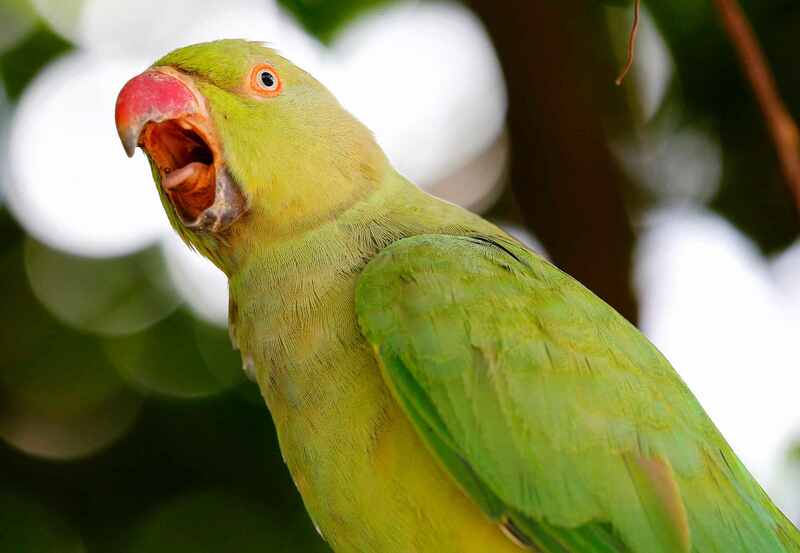 It's a well-known fact that parrots are capable of mimicking human speech, but what many bird owners don't realize is that the same methods for teaching birds to talk can be used to teach them how to sing. Birds naturally try to duplicate the tones and notes of the sounds that they are learning. It will take some practice and patience, but if your parrot can talk, you should be able to teach it to sing. 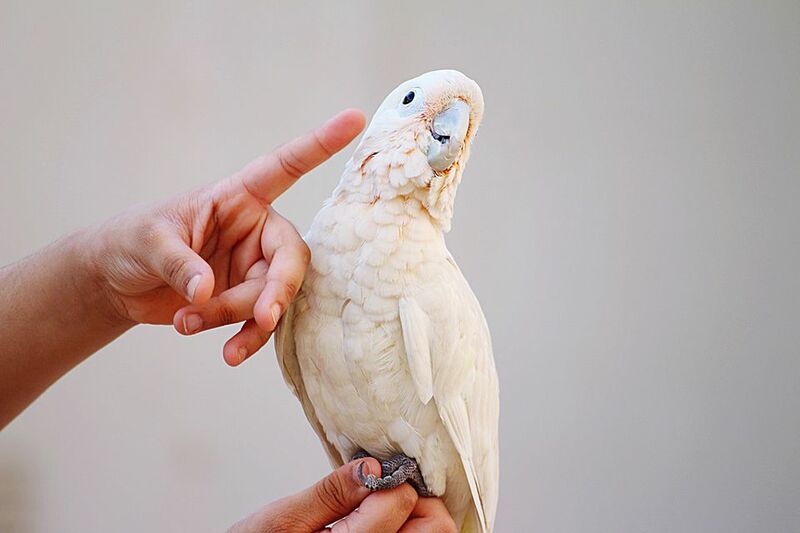 Teaching your feathered friend to perform bird tricks can be fun, but it is important that you don't expect too much from your parrot. For example, some individual birds, even those whose species is known for talking, simply won't mimic anything. Before you set out to teach your bird a song, you need to determine if your bird has the ability (and the will) to talk. If your bird is already saying a few words, then you're good to go—if not, you should start with encouraging speech in your bird, and then move along to incorporating the musical aspect at a later date. The location where you train your bird can influence the success or failure of your training sessions. Choosing an appropriate training area isn't as simple as it may sound, in fact, it can be rather challenging to get it just right. Keep in mind that your bird will be most agreeable in an area that is neither too foreign nor too familiar. Choose a room or part of the house that is away from the bird's cage and areas where it normally spends most of its time, but that is also free of major foot traffic. Make sure that the area is free of clutter and distractions, and that the room has secure doors and windows to eliminate the risk of a fly-away. And definitely avoid any room that has mirrors, as most parrot owners know, these birds can't resist their own reflections. Birds that enjoy mimicking sounds are often drawn to certain noises more than others. If you are setting out to teach your bird to sing a song, it's a good idea to pay attention to the sorts of sounds that your bird seems to like. Try putting on the radio to see how your bird responds to different types of music. Is it more interested in songs with a lot of bass, or higher-pitched sounds? Does it respond more to male voices or female voices? You may even discover certain artists or genres that your bird seems to enjoy more than others. Choosing a fun, upbeat song to teach your bird is normally the best way to get your feathered friend singing quickly and accurately. Teaching your bird to sing isn't all that different from teaching your bird to talk. It's important not to rush your pet. Start slowly, repeating just the first few words of a tune, and then incorporate more as your bird learns. Try to hold the training sessions at the same time every day. It also can help to use audio editing software to create a loop of the first line or two of a song that you can play over and over for your bird. This way, your pet will begin to recognize the way that the sounds and tones fit together and will be able to process exactly what types of vocalizations are needed in order to reproduce the sounds that it hears. Since parrots love to mimic, demonstrate the behavior your want your bird to copy. Once you've honed in on what type of music it likes, begin singing the song you want it to learn. Ideally, you'll get close to its cage so it can see you and hear you. If your bird begins mimicking you and sings the song correctly, offer a treat for some positive reinforcement. It will establish a routine that your bird will look forward to participating in. It will likely also produce quicker results for you and your pet, as setting up a training schedule will establish consistent patterns of practice. Don't go too fast during this training because the bird may become confused and frustrated. And never yell at or hit your bird. Male birds tend to learn to speak and sing more readily than female birds. If you have a female bird, she can still learn to sing, but just be advised that it may take longer. And younger male birds are easier to train than older ones; not only are they more alert, birds' physiology changes as they age. Singing, whistling, and talking are all behaviors birds use during mating, and much like humans, their testosterone drops as they age, so in turn, they vocalize less. Can You Train Your Bird to Like Being Pet? How Can I Teach My Bird Its Name? Is Your Bird Is Depressed?